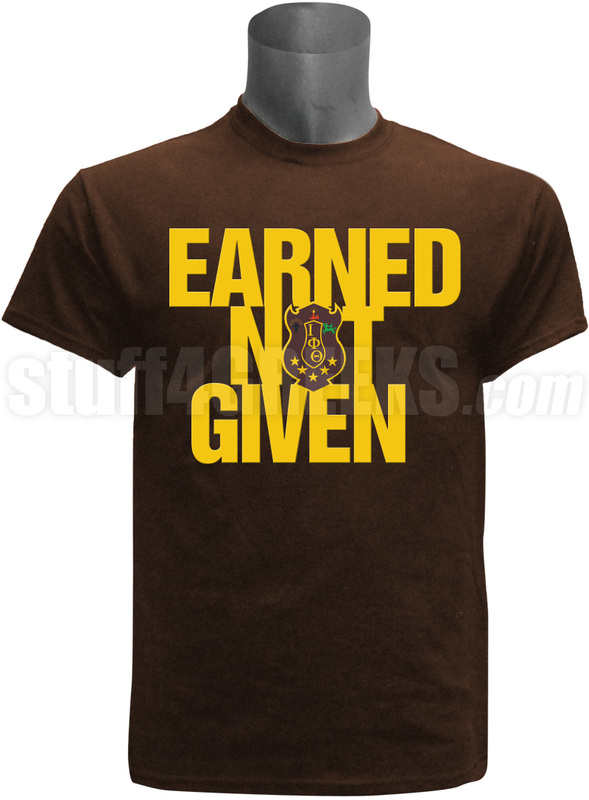 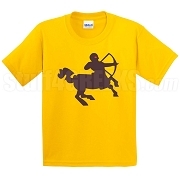 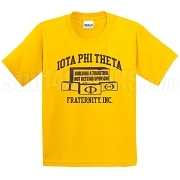 Brown Iota Phi Theta t-shirt with a crest and the words "Earned Not Given" across the front. 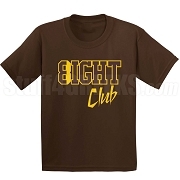 This design is stitched on. 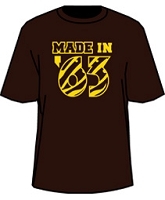 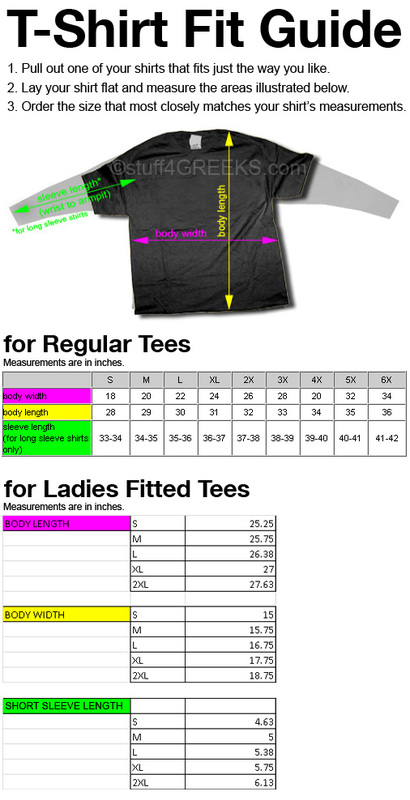 This design is screen-printed.